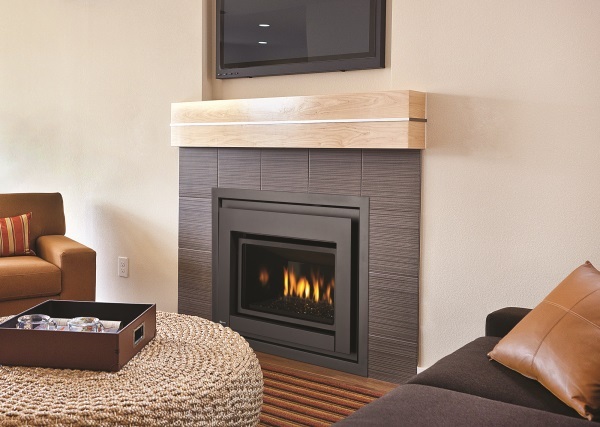 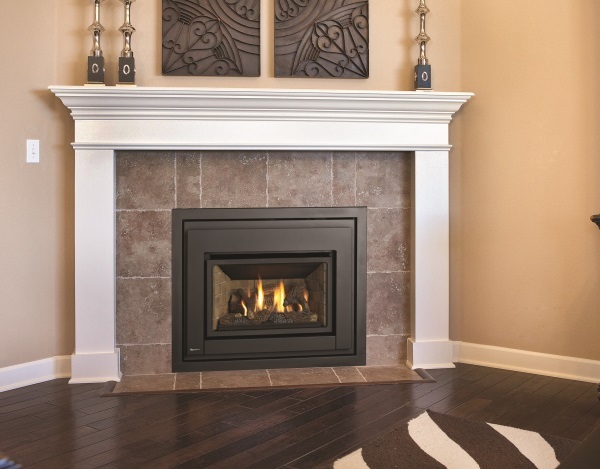 Regency’s newest B-vent insert is designed to meet the demands of homeowners who want to replace an older decorative open gas fireplace with today’s clean face design and modern efficiency. 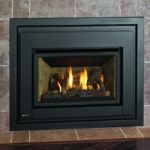 Ideal for condos, townhouses and detached homes, the Regency E18 insert installs using existing venting and requires minimal renovations; no changes to existing exterior vent termination are needed and you can keep your existing fireplace surround finishing. 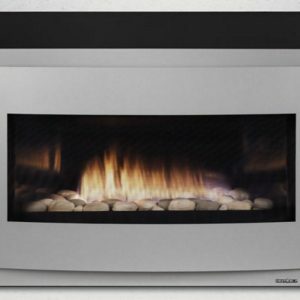 Includes basic wall thermostat to vary flame output. 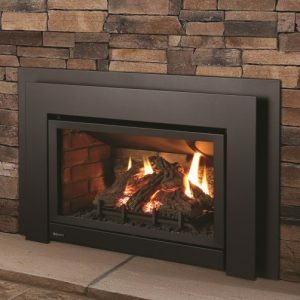 Ditch the logs completely. 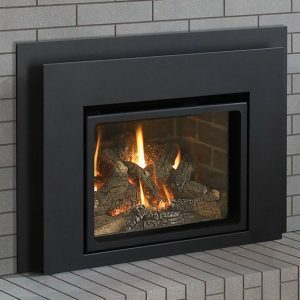 Go modern. 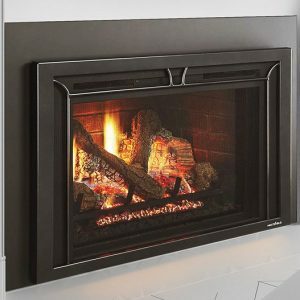 A ribbon of flame and glistening glass interior take your fireplace transformation to the next level. 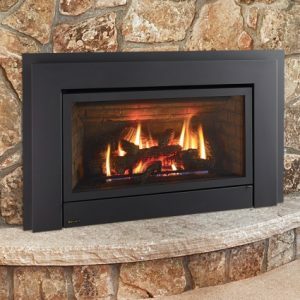 With 38,000 BTU of comforting, controllable heat and a full, yellow fire, this insert is guaranteed to warm your room quickly and consistently. 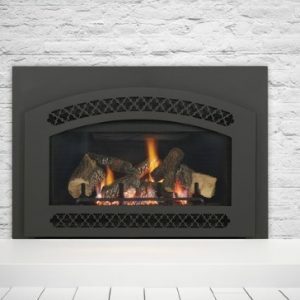 This Direct Vent Gas Insert is perfect for airtight homes or basements because the sealed firebox doesn’t use internal air. 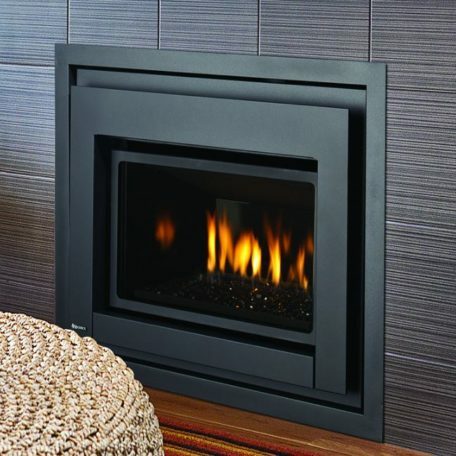 All Regency gas inserts can be enjoyed from the comfort of your sofa with the Proflame remote control or wall thermostat. 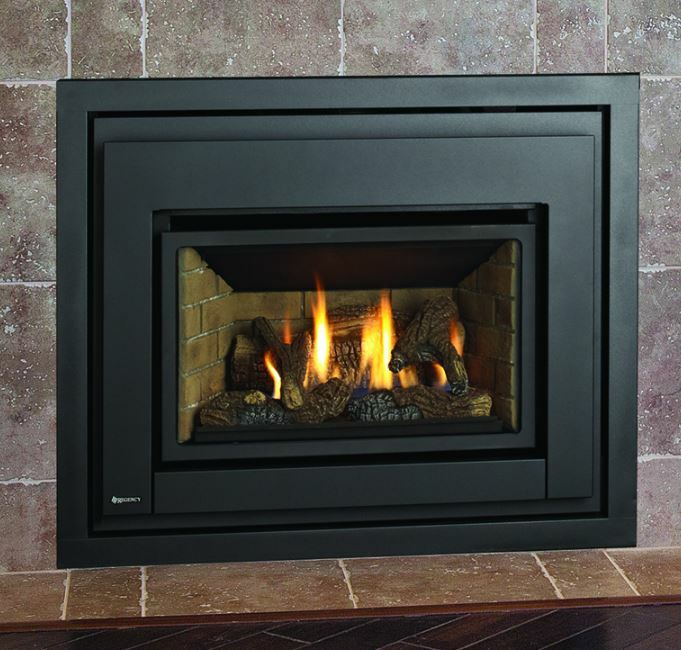 Regency U31 B-Vent unit heats medium sized living areas in a wide range of styles with this fireplace insert. 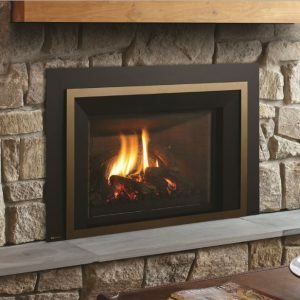 Whatever style you choose Regency quality and the exceptional fire will be a welcome addition to your home. 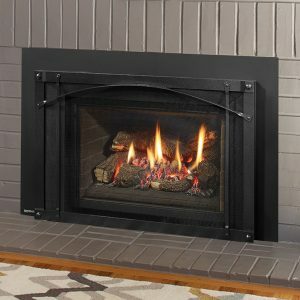 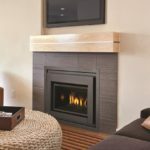 The Regency Liberty L234 is a clean front fireplace insert that slides easily into your existing drafty steel fireplace and transforms it to a high efficiency heater. 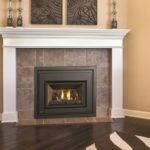 This small direct vent gas insert is perfect for airtight homes or basements because the sealed firebox doesn’t use in-home air. 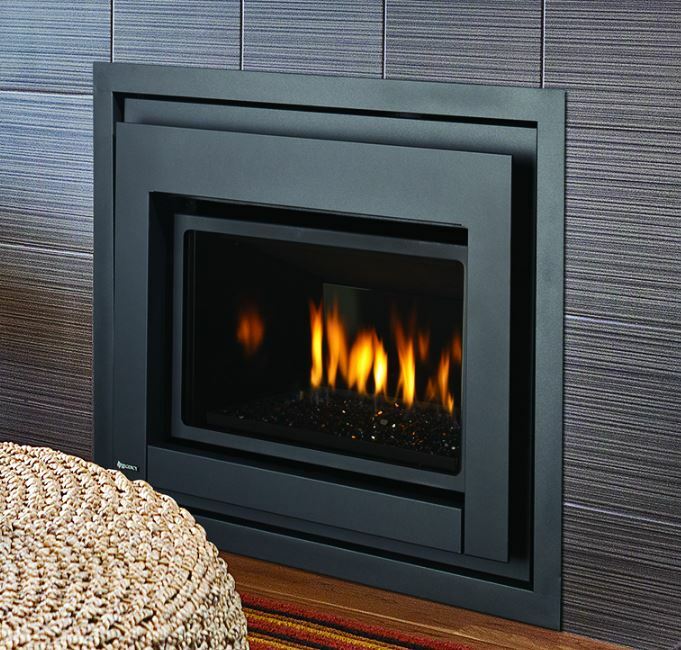 This is the perfect small gas insert for very small gas fireplaces.